RSVP: patricia.utterback@business-sweden.se with name, company, title. In 1915 the Swedish Pavilion at PPIE presented some of its most famous enterprises with worldwide reputations. This event is a continuation of our Sweden-TNT series of updates on enterprises and entrepreneurs today. Sweden is known today for its software and other computer entrepreneurs. With but 4% of Europe’s population, Sweden garners a third of venture capital. 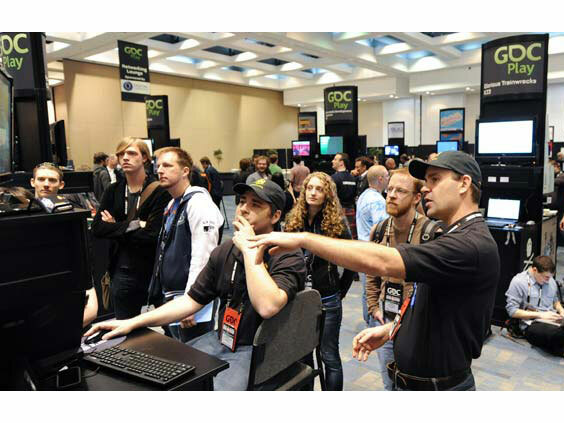 Here’s your opportunity to get a first-hand look at some of our best game changers at this reception for those attending the Game Developers Conference currently being held at Moscone Center. The Swedish Games Industry, the Consulate General of Sweden in San Francisco, and Business Sweden present a business mixer on March 3 to kick of the Games Developers Conference (GDC) San Francisco 2015. This reception is held at SPUR. This evening’s discussion includes a discussion of trends in the gaming industry. The speakers include: Moderator Anton Albiin (Swedish Games Industry); Tommy Palm (Co-Founder, Resolution Games); Henrik Johansson (Co-Founder, Mediocre Games); Erin Robinson (Co-Founder, Ivy games).